With the rapid pace of medical research and shift in treatment protocols, it’s critical to keep up to date with the latest in evidence-based care. Through mentorship programs, online training, educational seminars, or simply face time with medical leadership, at SCP we’re dedicated to fostering each team member’s professional development. Gain access to one of the most robust continuing medical education programs in our industry with SCP University. 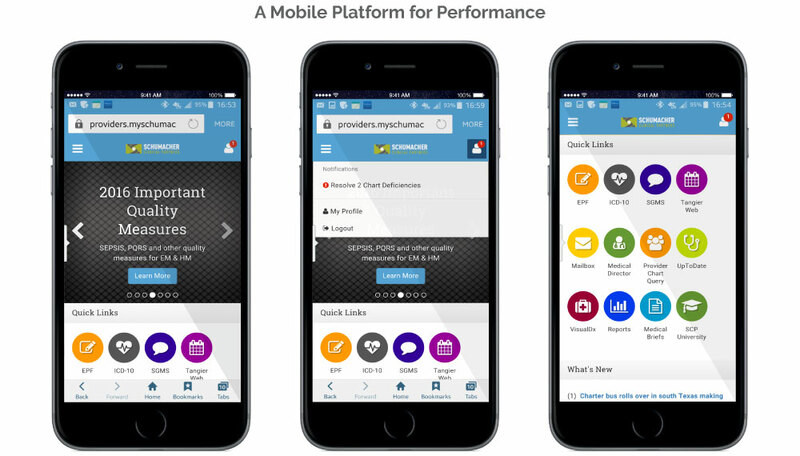 A robust tool for tracking performance, accessing treatment protocols, and continuing education, the Provider Portal is a mobile-enabled, secure, and integrated communication hub designed exclusively for our provider network. The Provider Portal is secure, convenient, easy to use, and available 24/7.